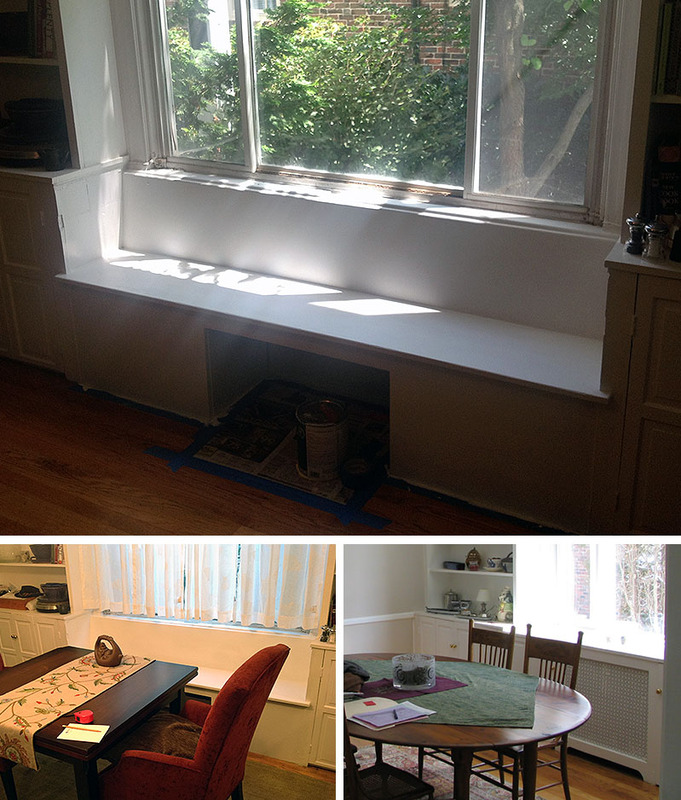 Over the weekend, I designed and built a window seat in the dining room to replace the cabinets and covering for our old radiator (which was taken out a few years ago). 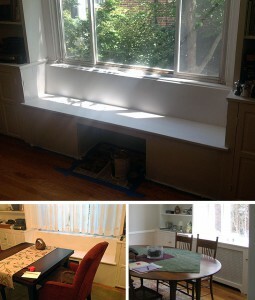 The design came together as I woke up on Saturday morning, and the construction went surprising well! We’re very happy with the results. Now we just need a cushion. This entry was posted in Houses. Bookmark the permalink.